Vallourec is involved in the EU Raiselife project for the further development of concentrated solar power plants (CSP). Raiselife is a project funded by the European Union's Horizon 2020 research and innovation program coordinated by Deutsches Zentrum fuer Luft- und Raumfahrt from Cologne, Germany. 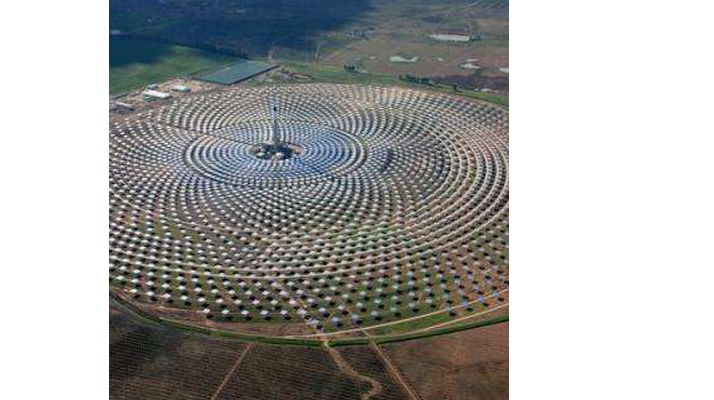 Using molten salt as heat transfer fluid is a challenge for engineers and for companies delivering components for Solar Power Plants. This also applies to tubes and pipes. During the Raiselife project, Vallourec discussed with several solar players about the specific demand of the tubular solutions for solar power plants. Meanwhile the needs and requirements are outlined. The technical sticking points are identified and the next step is working on intelligent tubular solutions to meet all the requirements. Based on its long-standing experience in the steels and alloys already used in the energy market, Vallourec shares its expertise in the most advanced ferritic steel, stainless steel or nickel base alloy tubes and can also develop new tailor-made solutions for the specific demand of tubes submitted to particularly corrosive environments such as molten salts currently envisaged in solar power plants. Vallourec's experiences made in nuclear power plants seem to be very helpful for tubular solutions for solar power plants and the experts see opportunities to draw parallels. First ideas have to be underpinned either by testing material already used in nuclear power plants with molten salt or by finding other proper ways to provide the most competitive tube in the requested size range.